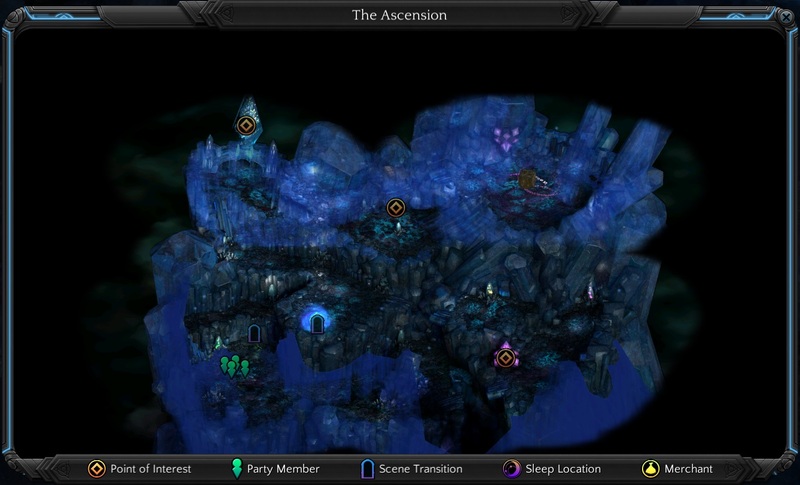 The Ascension is a location in Torment: Tides of Numenera. First thing you need to do, is to find the The Speaker and talk to it. Its at the northwest part of this area, it will give you hints about another man visited this place ago. You will encounter some Changing God cultists on road, but they wont provide anything useful. After talking with The Speaker, you can interact with crystals to create bridges, to explore rest part of this area. Speak with The Builder, it will open a cave to Crystalline Cavern. The Magmatic Annulet is inside that cave, when you acquired it and trying to leave this area. Doran and his Changing God cultists will attack you.